Housing blocks will go on the market for $160,000 to $180,000 average in the new Kigariff suburb and its development is 18 months ahead of the former Labor Government’s schedule, Chief Minister Adam Giles told the Chamber of Commerce budget luncheon yesterday. He said the government will subsidise the project to the tune of $3.5m and expressions of interest from developers of 100 blocks in Stage 1 will be sought next week. Mr Giles said the project demonstrates government resolve to foster growth: In town there will be a “blanket” seven storey height limit in the CBD. More than $10 million is being invested to deliver headworks to the Kilgariff site, Mr Giles said in a media release yesterday afternoon. “I expect a preferred proponent will be appointed by the end of August, and we will work with the developer to get lots for sale off the plan as soon as possible after that,” Mr Giles said. 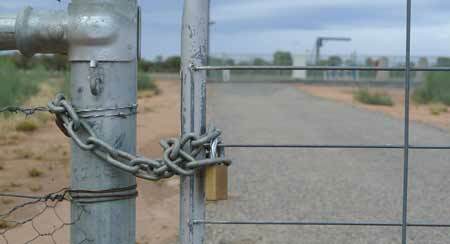 PHOTO: Kilgariff – the lock will come off 18 months sooner. This subdivision will be great for the Alice in jobs for the builders and subbies. [It would be good] if there were – say – 10 blocks available for first home buyers at a better rate to encourage people to settle here and raise their families. Maybe by Xmas blocks will be available? Alice needs more people here for jobs and growth, especially with all the mining happening around the Centre. Question is, how much above the price tag will it cost for a resident to test the soil on his block and his near neighbours to ensure it is not poisoned with Agent Orange. If not, can he or she be assured they won’t develop cancer, or if the children born to a couple residing there would not be afflicted with horrific birth defects?